Are you seeking that beautiful, finished looking room? A room that looks like it is brand new, yet has been with you forever? When you get the brand new furniture delivered and placed, why doesn’t it have the same ‘wow’ feeling you felt when you saw it displayed in the furniture store? Lack of layers is probably the answer. 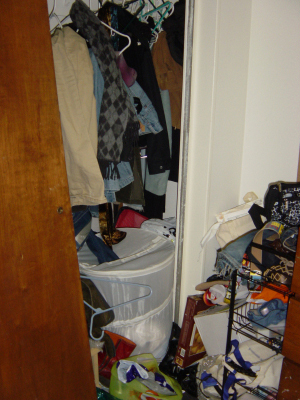 A lack of layers can lead to an impersonal, unwelcoming space. Just like any art form, the design of an interior space involves layering. 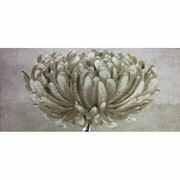 A common conversation S Interior Design has with their clients is reflected in the attached video. 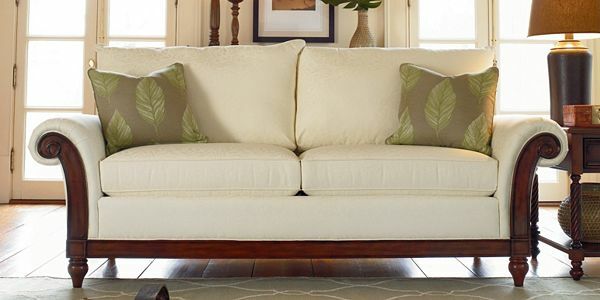 Sofa -1 tone pillows and main fabric OR with a contrasting fabric on the pillows–Just by adding a layer of color and pattern, the whole personality of the sofa has changed! 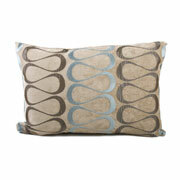 If a throw in a complementary color with a nubby texture was added, it would become even more visually appealing. Of course the layer of the sofa table behind the sofa layered with candle stick holders and other accessories helps too! The floor in any room is a great opportunity to add visual and tactile layers. 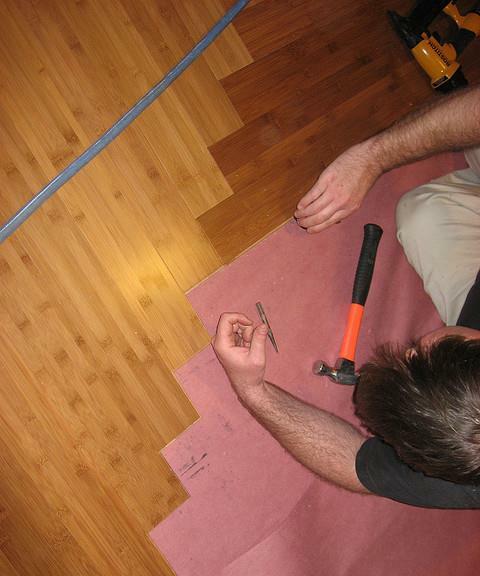 A wood floor is beautiful. Adding a great area rug on top of the wood floor in the proper size and location can add color and texture and change the entire personality of the space. 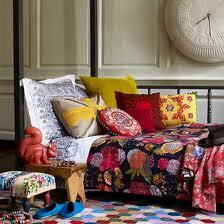 Here is a super vibrant visually busy example of pattern mixing. It works because of the common design element of color. Is it Possible to Furnish Your Home Entirely Online? Wherever in the vast world you reside, the fact is purchasing items on-line is a part of our lives. Would you feel comfortable furnishing your home or office using only on-line resources? Do you still feel the need to see and touch furnishings in person? Many of S Interior Design’s clients are comfortable doing research on-line, but still want to give their seating what we call ‘the tush test’ before purchasing (we highly recommend it!!). 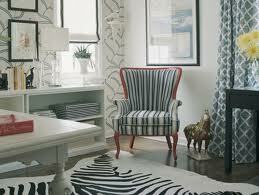 It is also nice to actually see and feel fabrics or leathers that will be used on upholstered pieces of furniture. That said, many household furnishing items can be purchased on-line with little risk or fear; such as accent pillows, accessories and lighting. 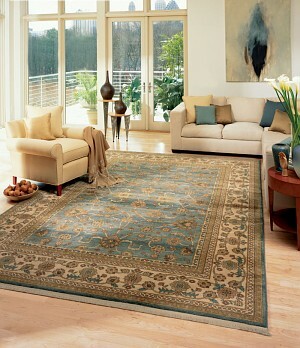 We have had good success purchasing area rugs on-line for great prices for many of our clients in the past few years. S Interior Design offers virtual design services where a full design plan is developed for a client who lives outside the geography we work with in-person. Included in the service is the identification of on-line resources to execute the plan. Below is a guest post that speaks to this subject. Online shopping is just one of the reasons given for the demise of high streets up and down the UK. For many, purchasing groceries, gifts and clothing online is now the norm, instead of visiting stores. 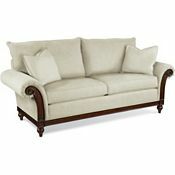 However, it seems that many still prefer to shop in store when purchasing new furniture for the home. There are a number of disadvantages to furnishing the home through online shopping. 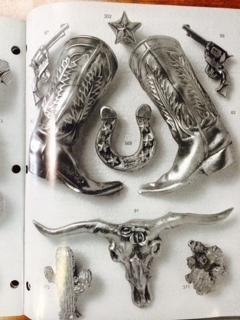 For many people, the main one is that they are unable to look and touch the items that they are considering purchasing. 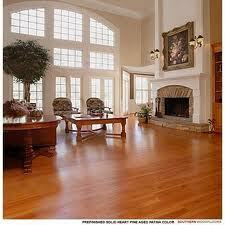 For those looking for furniture such as traditional solid pine and oak, they find it easier to purchase online. Not only are colors and styles easily identifiable, the fact that no single piece of wood furniture is identical (because of its grain) means that it is easy to purchase without physically viewing. For those who are looking to replace existing items with the same, or similar, ordering online can also be pain-free. For those who are reluctant to purchase upholstered pieces or soft furnishings online, a number of companies have fabric samples available. By requesting samples, it allows customers to make informed purchase decisions. 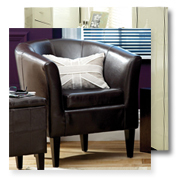 One of the additional expenses of buying furniture is the delivery costs. Local stores can often deliver (and sometimes assemble) furniture for free, whereas many online stores will have a set delivery charge. Couriers often deliver items and they may not be able to deliver furniture into the room where it is required or offer any assembly services. Some online furniture suppliers are also able to offer complete room solutions to their customers. This means that in the online room design, all of the furniture is for sale. So when selecting a media unit and coffee table, the sofas are available, as well as the soft furnishings such as cushions and curtains. 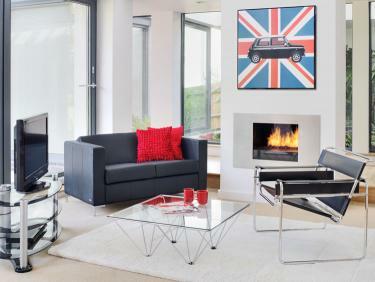 The opportunity to purchase a complete room ensures that when everything arrives in the home, it will coordinate fully. Some shoppers will choose to spend time browsing in furniture stores and then shop online to find the best price deal for that furniture, as one of the main advantages to shopping online is the financial savings and deals. For stores who operate online, they are often able to keep their prices down, as they do not need to employ staff on shop floors. Shopping online is also great for those who work shifts or have commitments that make it difficult to go out shopping for new furniture. When purchasing online, customers should never be afraid to ring the company and ask for further information about delivery, warranties or any other queries that they may have. How many people are confident enough to purchase their home entirely online is questionable, although the ease that online furniture shopping offers is making it a popular choice for many. Everything for the home is available online, even paints and wallpapers, but for those who do not feel brave enough to furnish their home entirely online, they should consider purchasing soft furnishings such as Dunelm-Mill . From this, purchasing a new room is just a few clicks away. S Interior Design is pleased to bring you this guest post on ideas to help make your bathroom environment eco-friendly. Like any room or space in a home or office, using materials derived from nature (cotton, linen, plant-based), versus chemical compounds is taking a step in the right direction. So forego the PVC vinyls and harsh chemical cleaners. When it is time to replace your toilets, look for low water usage or dual flush options which are readily available. And don’t forget your lighting options-go LED for long-lasting beautiful light, and whenever possible day light from windows or Solatubes. 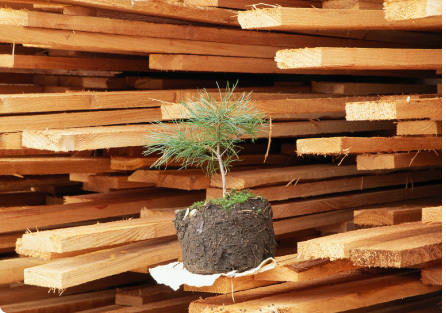 If living in an eco-friendly world is important to you, then it’s time to start with your own home. Which room do you utilize the most? Other than the kitchen, the bathroom comes in at a close second. This is a great place to start, though you may not consider it at first. TheEnvironmentSite.org suggests, “… You will be amazed how much you could do to make your bathroom more environmentally friendly. This can start with the cleaning products you use end with how much water you use for flushing your toilet.” From cleaning supplies, to your basic bathroom items, you can go green from every angle. If you feel ready to take this project into your own hands, get ready to make your own cleaners. Utilizing many products that you may already have in your house, this is an easy task that’s worth taking on. Not convinced? Care2.com says, “Ounce for ounce homemade cleaning formulas cost about one-tenth the price of their commercial counterpart.” Time to get started; here are your basic formulas. Shower: Baking soda and water or lemon juice and vinegar. Mirror: Mix vinegar and water – 2 tablespoons of vinegar to a whole gallon of water. 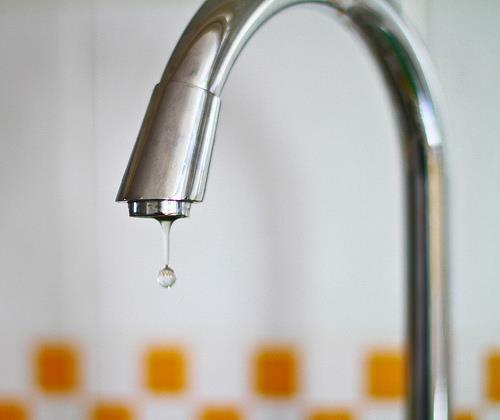 Clogged drain: Put half cup of baking soda into your drain and wash it down with 2 cups of boiling water. Avoid any cleaner with phosphates or chlorine, which are harmful to people. Look for plant born ingredients such as d-limonene or lauramine oxide. 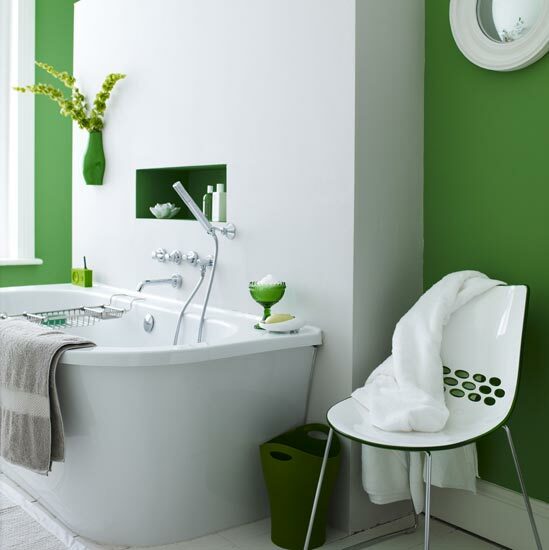 While you may consider keeping your cleaning supplies eco-friendly, it’s important that your bathroom is green all over. That means you want to be stocked with all the right products. You can find all your basic bathroom necessities in organic, recycled or bamboo materials which are better for your bathroom, your family and the environment. Natural fabric shower curtain: The plastic curtains that eek that ever-recognizable “plastic smell” are made with PVC and should be avoided. Find naturally made curtains in your local home goods store. Recycled toilet paper: Many mainstream companies now offer recycled version of their traditional product, such as Seventh Generation. If you’re serious about going eco-friendly in the bathroom, there are a number of ways to incorporate bits and pieces or go the whole way. From cleaners to your everyday necessities like towels, you can do your part for the world while making a healthier environment for yourself, your family and visitors. Sara Fletcher enjoys learning about all aspects of the home ranging from affordable double vanities, interior design, and green furniture. She one day hopes to build her own dream home, complete with luxury bathroom vanities.